Laura Velasquez, who works at AccuWeather in State College, Pa., corrects people when they call her a weather girl. “Actually, I prefer meteorologist,” she tells them. Laura Velasquez and other female meteorologists at AccuWeather Inc., the forecasting service in State College, Pa., are calling for people to stop using the term weather girl. The long-used title that never seems to go away can be demeaning and diminish the hard work needed to become meteorologists, they said in a video released Wednesday night on Twitter. Ginger Zee, chief meteorologist at ABC News, has also criticized the term. Female weathercasters are underrepresented in the nation's 210 TV markets. They account for less than one-third of such positions, according to a study released this year by the American Meteorological Society. They also constitute only about 11 percent of weathercasters on evening news shifts, which are often the most watched. 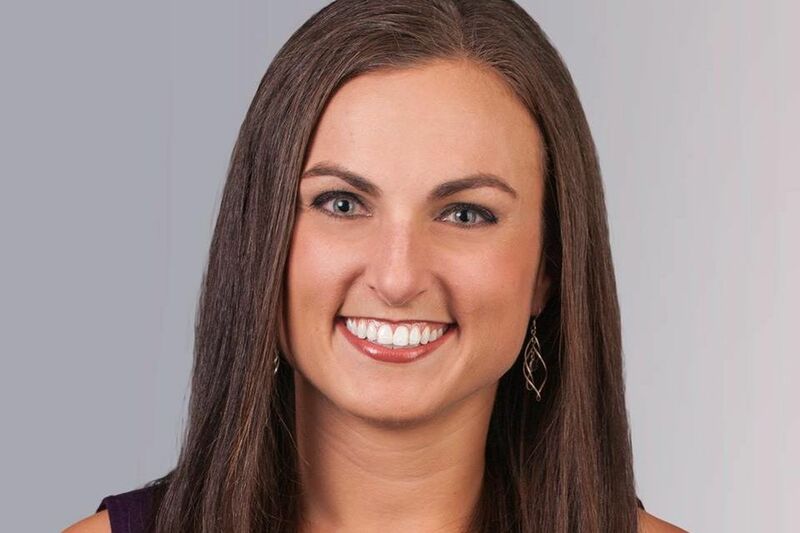 Velasquez, who has been with AccuWeather since 2015 and has worked in Denver and Grand Rapids, Mich., told us what it's like to be a woman in the weather business, how she responds to challenges, and why the term weather girl still seems to hang on. The responses have been edited for length. When was the first time you remember being called a weather girl? It was before I even had my official degree in hand. I've wanted to be a meteorologist since I was about 3 or 4. I remember thinking, "This is what I'm going to do." I can't think of the exact instance, but there are many times where it's the "weather girl" or it's the "weather lady." Most people don't mean it in a malicious way at all. Usually when I hear it, I sort of have a standard reply. I'll say, "Oh, actually, I prefer meteorologist," and then go back to the conversation at hand. How do people respond when you tell them you want to be called a meteorologist? If there's a response at all, it's usually something like, "Oh, yes, yes, that's what I meant: meteorologist." In the vast majority of circumstances, there is nothing negative meant by it, but with that being said, you don't hear "the weather boy" very often. This is 2017. Shouldn't we have moved on from the term "weather girl" — and why haven't we? I think it was used 40 years ago, and I think it was then used 30 years ago and 20 years ago, and it just kind of carried over. [Saying] "I prefer meteorologist," it'll help. I don't know if [weather girl] will go completely away. Is it harder for women to break into the TV meteorology field than men? It may actually be the same or even easier for a woman to break into the business. It may be more difficult to climb the ladder. But there's a few other things that come into play with that, too. If you are a meteorologist and you want to be a broadcaster, are you willing to move anywhere? Maybe it's Billings, Mont., that calls. Are you willing to go to Billings to work, and are you willing to work any shift any day of the week any time of day, or are you a little bit more selective? Have there been times where you felt you were treated differently or had to prove yourself to others because you are a woman in this field? I will say you can't always use the time of day that a person is on TV to determine where they rank or where they might want to rank. In a certain market, there may be a male meteorologist working in the evenings and a female meteorologist working in the mornings — it doesn't necessarily mean in all cases that one is ranked above the other. It may be that that's the chosen way that it works best for those people. For instance, I work mornings. I love mornings. Most of my career has been in the mornings. I feel like my personality fits well there.